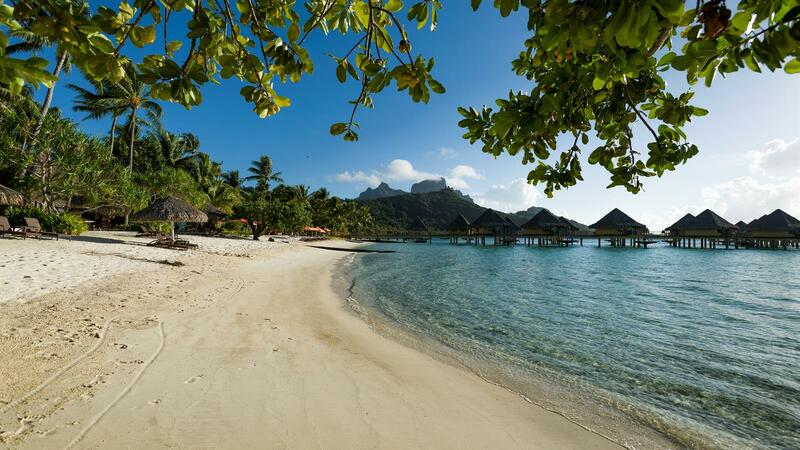 Enjoy 3 magical nights on Moorea: the "Magical Island" at the Intercontinental, 3 nights at Le Meridien Bora Bora: the "Romantic Island" and then 4 nights on Huahine: “Garden of Eden” at Maitai La Pita Village Huahine. Because of its stunning scenery and heart-shaped formation, it's no wonder so many people fall in love with Moorea! Bora Bora, where perfect white-sand beaches give way to emerald waters and colored fish animate the coral gardens as they greet the giant manta rays. Huahine, with its lush forests, untamed landscape, and quaint villages, is one of Polynesia's best-kept secrets! Includes Full Breakfast daily, a Tahitian Black Pearl gift and special Hotel Anniversary Bonuses such as Champagne or Tropical Flowers. Tiki Village Dinner & Show Moorea, Shark & Ray Feeding, Snorkel Safari on Moorea. Dinner at Bloody Mary’s Bora Bora, Shark & Ray feeding Bora Bora, 4WD Bora Bora. Outrigger Canoe, Motu Picnic and Snorkeling Full day tour on Huahine, Jet Ski Guided Tour, 4WD Safari, Horseback Riding. For a complete list of recommended Excursions on Moorea, Bora Bora and Huahine, please refer to the Excursions page and include your preferences on the Quote Request Form.